Strength and the energy without the typical effect of a short circuit as the standard pre-workout formula. 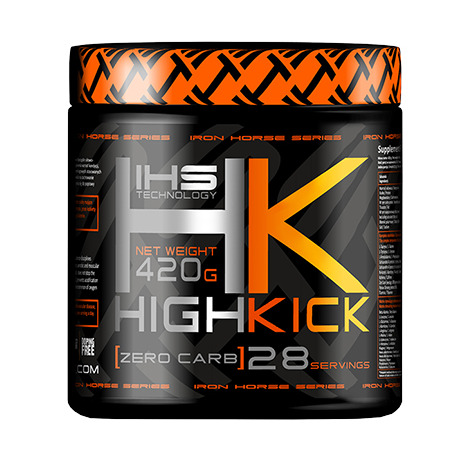 Iron Horse - Advanced pre-workout formula sports supplement Iron Horse Series High Kick is a pre-workout formulation designed primarily for athletes, strength-endurance (MMA, boxing, wrestling, rugby, etc.). The use of sports supplements Iron Horse Series High Kick before training and increased fitness, aerobic endurance and muscular player. 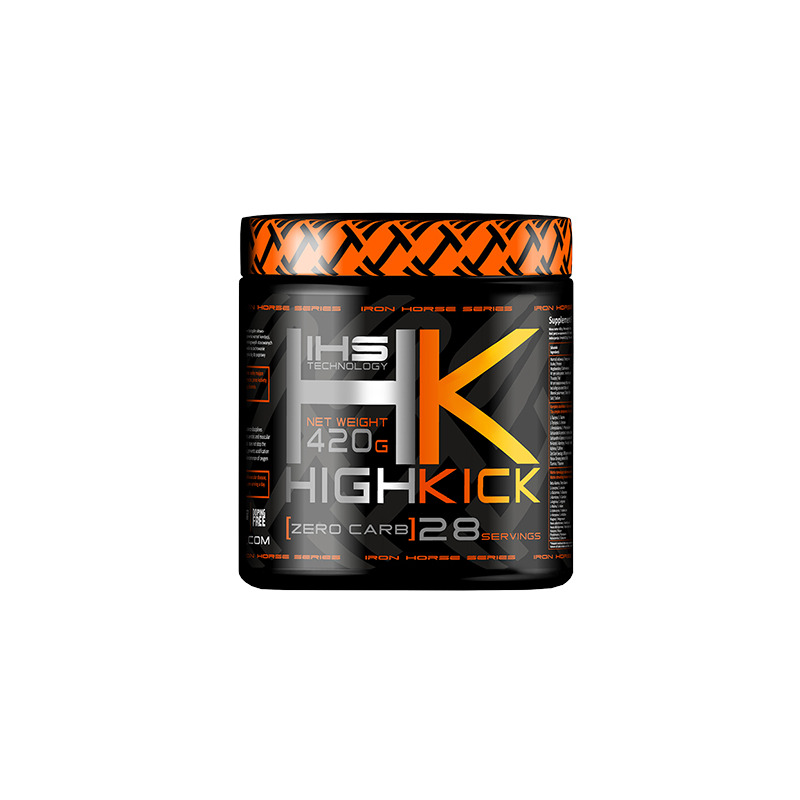 In contrast to the pre-workout formulas used in body building strong and effective dietary supplement for athletes Iron Horse Series High Kick does not stop the excessive amount of blood in the working muscles, and allows you to maintain speed and dynamics, prevents acidification of the working muscles , which definitely helps to improve performance sports. The phenomenon of receding noticeably oxygen debt. Use only on training days, 1 serving per day, 30 min. before training mixed with 250ml of water. Do not exceed the recommended daily dose.